SpaceX completed the first test firing of its Raptor “Interplanetary Transport Engine” that will power the company’s Interplanetary Transport System. The milestone engine test came just days before SpaceX CEO Elon Musk will unveil the details of the interplanetary technology in development at SpaceX for human missions to Mars and possibly beyond, expected to begin in the next decade. 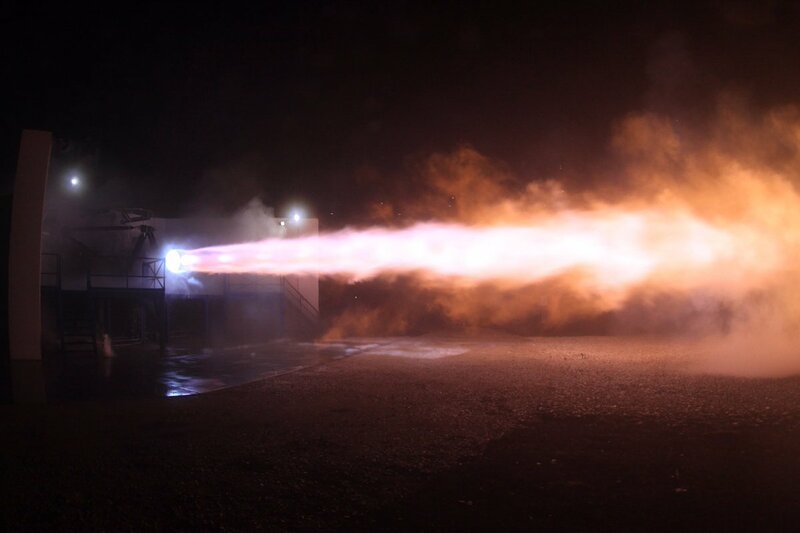 Musk Tweeted photos of the Raptor test Sunday night showing the engine being fired in a horizontal test stand at SpaceX’s Rocket Development and Test Facility in McGregor, Texas. Observers had spotted the engine on the stand in August and SpaceX confirmed that the first Raptor had been delivered to McGregor for development testing. Raptor was first presented by SpaceX in 2009, back then still a Liquid Oxygen-Liquid Hydrogen concept being developed by a small team at a low priority. Around 2011/12, SpaceX changed direction in its propulsion development, switching to methane-fueled rocket engines as the company set their goals to Mars and beyond. Raptor has been designed from the start with re-usability in mind and its Methane-Oxygen propellant mix provides a much cleaner burn with less sooting on the used engines. 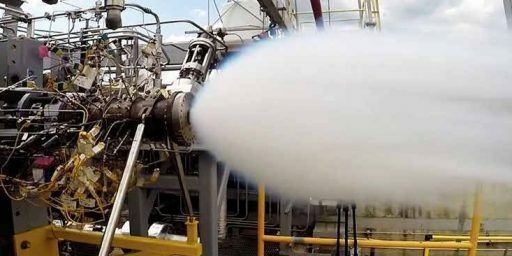 The use of a Full Flow Staged Combustion Cycle, while offering increased performance over the Merlin 1D’s open cycle, also creates more benign conditions in the engine plumbing and reduces the number of failure points – conducive for long-term use of the engines on multiple missions. Like the current Merlin engine used on the Falcon 9 and Falcon Heavy rockets, Raptor will make use of sub-cooled propellants with both LOX and CH4 chilled to temperatures near their freezing points. Over the years, thrust specifications on the Raptor changed dramatically as it went through its development process with varying thrust targets given between a low target of 2,300 Kilonewtons to a high target of over 8,000kN. Elon Musk clarified the targeted performance goals for the production Raptor Sunday night, calling for a chamber pressure of 300 bar, a thrust of 310 metric ton force (3,040kN) at a vacuum impulse of 382 seconds when employing a vacuum-optimized version of the engine. 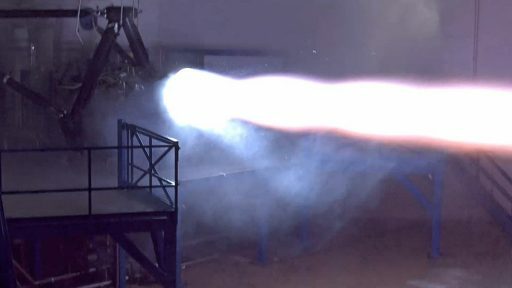 Musk also confirmed that Raptor uses a multi-stage turbopump system and comes in two different versions – one for the first stage ITS booster and a vacuum-optimized version for operation in space and retropropulsion for landing on Mars. Raptor Vac will have a nozzle diameter on the order of four meters based on a 150 area ratio stated by Musk. The photos shared by Elon Musk show the expected blue hue of Methalox combustion and the Mach Diamonds seen in the images suggest the engine is overexpanded which indicates its designers prefer optimized performance at altitude favored over performance within the dense atmosphere. 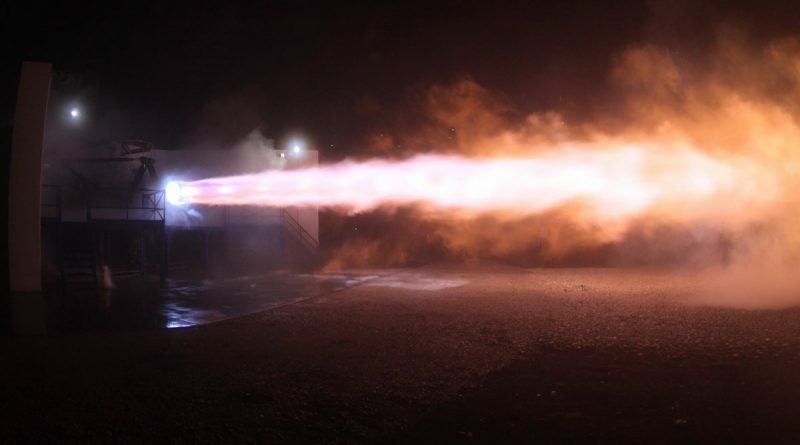 Raptor development testing picked up in 2014 at NASA’s Stennis Space Center in Mississippi with tests of the engine’s injectors and preburner systems. A test campaign in 2015 completed 76 hot fire tests of the preburner system with a cumulative burn time of several hundred seconds. The test at McGregor marked the first firing of an integrated Raptor engine, however, there was some discussion on whether the test unit was a scaled or full-scale engine and whether initial tests would operate the powerplant at a lower chamber pressure. The completion of the first Raptor test further raises anticipation for Elon Musk’s speech on Tuesday at the International Astronautical Congress (IAC) in Guadalajara, Mexico where he will outline the plan to establish an operational human and cargo transport architecture between Earth and Mars. Previously known as the Mars Colonial Transporter, the concept includes a complete spaceflight system of reusable launch vehicles, space capsules for crew and cargo transport and a landing architecture for Mars as well as return capability to Earth. Musk often stressed that he founded SpaceX with the ultimate goal of enabling human exploration and settlement of Mars. How specific Musk’s presentation will be remains to be seen, but his recent Tweets indicate he will deliver details on the Raptor engine and its Sea Level and Vacuum versions. According to the IAC conference program, Musk will discuss potential Mars colonization systems on which the private sector and international governments could collaborate. Specifics such as the design and size of the ITS launch vehicle and the number of Raptor engines used by the vehicle are among the key items hoped to be revealed by Musk on Tuesday. 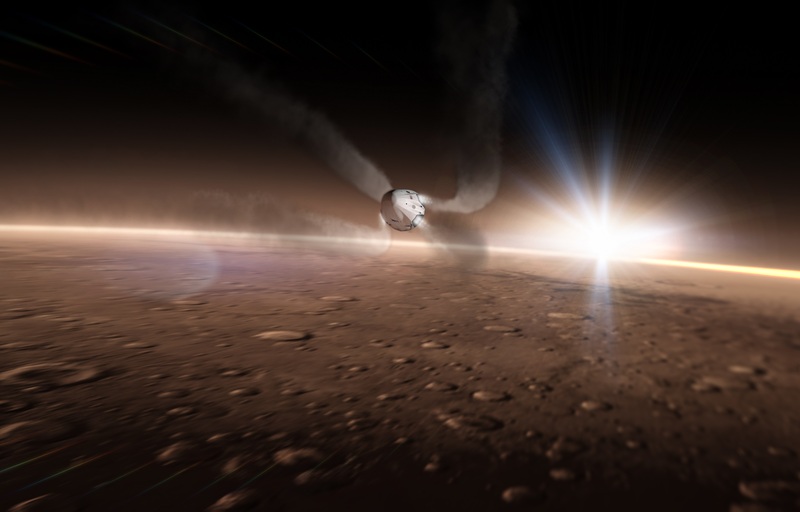 Other significant aspects Musk is expected to touch are challenges such as space radiation and cargo resupply that need to be dealt with when establishing a large human presence on Mars. SpaceX has legions of fans hungry for new goals in space exploration at a scope not seen since the Apollo days. However, Musk has often outlined timelines that proved out to be too ambitious and the company’s secretive nature led to a plethora of speculation on the details of future plans. 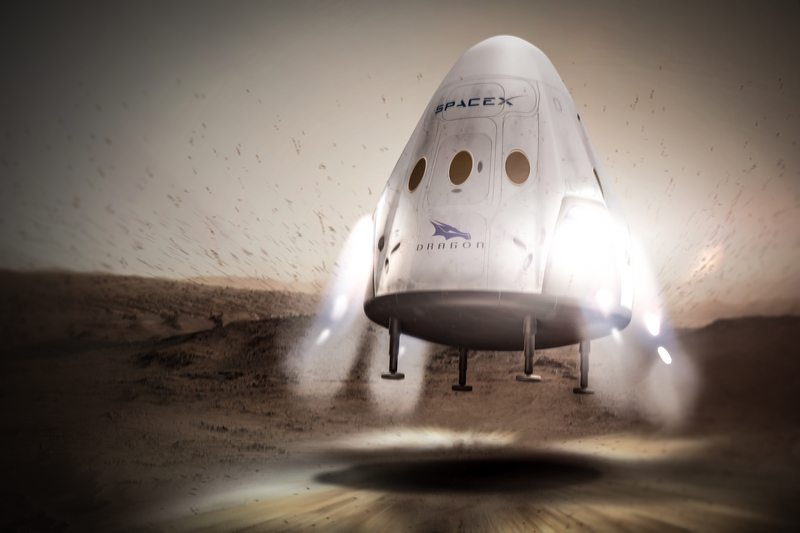 Following through with their promise of ramping up the company’s Mars ambitions, SpaceX announced earlier this year firm plans to launch a Dragon Spacecraft to Mars in 2018 using a Falcon Heavy rocket to gather experience in landing a sizeable spacecraft on the surface of Mars. 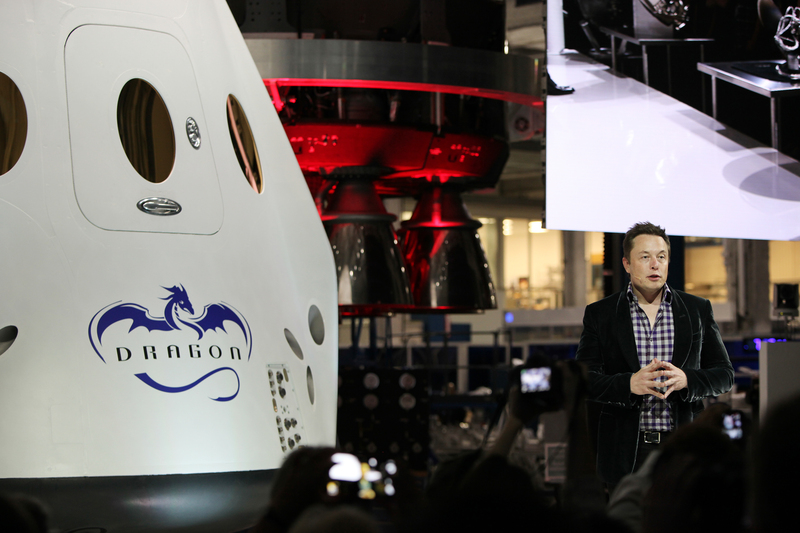 A pair of Red Dragons could follow in 2020 to pave the way for the first flight of the Interplanetary Transport System later in the 2020s. Per the most recent public update, ITS could fly as early as 2022 with a cargo vehicle to pre-position the resources needed by the first crewed expedition mission that could get off the ground as early as 2024 – at least a decade before NASA would begin its “Journey to Mars”. Musk’s talk is titled “Making Humans a Multi-Planetary Species” and begins at 18:30 UTC on Tuesday, to be followed by a press conference. A live stream of the conference will be available online.